This is an interview with Ademola Morebise – the tenth in our Nigerian Internet Entrepreneur Spotlight series. You might want to read the previous interviews if you have not read them before. Just go just search for “Internet Entrepreneurs Spotlight” using the “Search This Blog” feature you will find on the sidebar. So let’s get into today’s spotlight. I am Ademola Morebise, native of Nigeria, citizen of the world. Ademola Morebise is a young man with many parts; a Writer, Public Speaker, Web/Mobile developer, Blogger and Internet Marketer with so much enthusiasm for web 2.0 and social media. I am most known as the Founder of Gistcaster.com, a tech start-up that wants to instantly connect you with the info you need. MMON: Wow….. This is brilliant. Ok, let’s go straight into business. When did you start Making Money Online and how did you make your first money online? 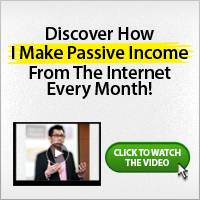 My quest to make money online started 2007. I was working at Dozen Technologies at that time, we created numerous online services and added adsense to it. We had good traffic and made up to $100 dollars on a good day. When I left Dozen Technologies later that year (because of admission to FUTA (https://futa.edu.ng), I started my chain of blogs, the most prominent been riranwo.com and a lot of free blogs hosted on blogspot. However, been a student meant I had no time to constantly source for articles, so I made NOTHING from adsense on those blogs, but I knew the right methods, so I taught my friends how to make money through adsense for a fee. I focused instead on web design projects for people. 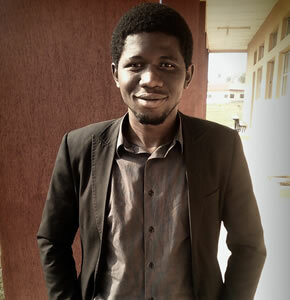 Everything changed the day I stumbled upon Startupsnigeria, Loy Okezie’s initial blog. I read about the startups he featured and I said to myself: I can do that! From that day on, I started researching about startups, got my startup idea and revamped RiRanWo.com as a web startup to collect and organize Nigerian content on the internet. In summary, currently I make money by doing web projects for people, internet marketing and Bulk SMS. My startups themselves are not yet profitable. MMON:Again I say, WOW. Anyway, that is what real FUTA graduates are made of. I am a FUTA graduate too and I learn most of the things I do now as part time. MMON: Ok. When starting your site, did you ever expect it to grow to where it is today? Definitely not! I remember asking myself September 2009 what I would consider success to be with Gistcaster; My response was: “If I get 100 people who like it”. A milestone I surpassed in 3 weeks! MMON: You’ve been in the internet space for quite some time, how much of an impact have you made? By the Grace of God, Ademola Morebise and Gistcaster has made lots of impact since the journey started. It’s great joy in itself to know that I’m a source of inspiration to lots of young people who tell themselves if Ademola can do it, so can I. This is the main reason I had to continue the Gistcaster.com project. It was no longer about me and my crew, its now an icon of hope for many. MMON: That true about that but why did you shut it down in the first place? It was not really a shut down per se, it was more like pausing it to focus fully on other channels that will drive in revenue fully, because I have a new vision of building the company bootstrapped. Then with the new capital we get, we’ll re-engineer the product and market it properly again. MMON: Nice!. So, how have you incorporated social media into your site? A skillful blend of revenue models is best. 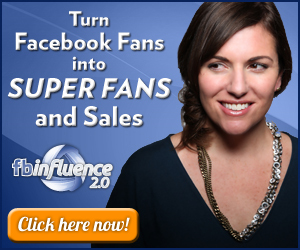 Use adsense and try selling a product to your audience. MMON: Good… What would you recommend for a new blogger, that wants to create their own brand/presence on the internet? Just get started! Dont worry that you wont have a new post in two weeks, dont worry that people wont like your blog topic. Just get started! MMON: Exactly. Any recommended resources for people looking to bring their online business to the next level? Yes, a great online resource is Mashable’s business channel, they always have insightful articles and talk about latest innovations. MMON: Thanks for that… Do you have any big announcements or upcoming projects you’d like to tell us about? My next personal project is MoneyMakers Wall, a website where I intend to showcase the best articles and resources about making money on the internet. Many people think the only way to make money online is via Adsense, Surveys, etc They forget that making money online just means the internet is a medium for your business. So MoneyMakers Wall will feature practical advice on building an internet-based businesses and start-ups. What an Interview.! I hope you have been inspired by this. You can (and should) follow Ademola on: Twitter, Facebook and check out his blog at riranwo.com. If you have further questions, please ask them using the comment box provided further below. Your questions will definitely be answered.